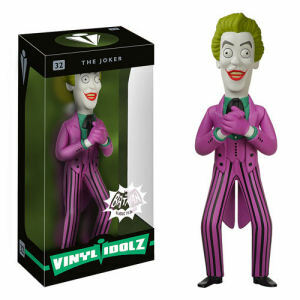 We have Just Sold out of Batman Classic 1966 TV Series Joker Vinyl Idolz Figure. This Item is unavailable at present. From the Batman collection by Funko. Batman Classic 1966 TV Series Joker Vinyl Idolz Figure. Vinyl Idolz Figure measures approximately 8 inches tall.